GAMAKNA #7: This issue's hot, very hot! - FORUM KROSMASTER : Forum dedicated to discussions about Krosmaster. Share all your opinions, ideas and tactical tips! 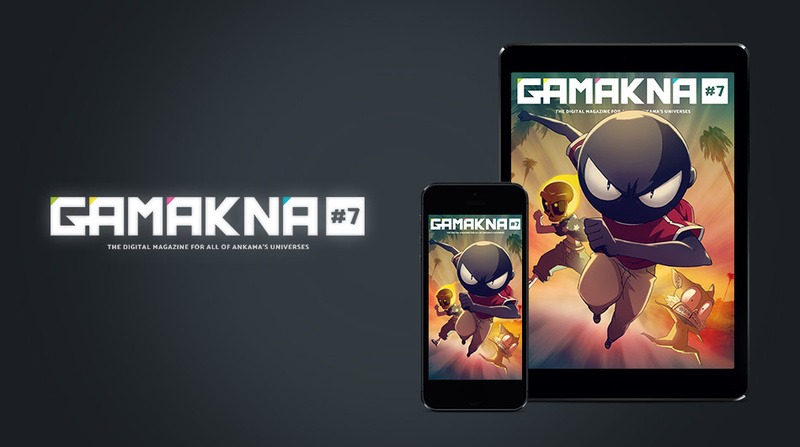 GAMAKNA #7: This issue's hot, very hot! It's not the first time that an Ankama hero with a face as black as obsidian makes his way into dark rooms to give your retinas an eyeful. First was Joris in DOFUS – Book I: Julith, now it's Angelino and his friend Vinz's turn to take you along on their adventure on the big screen in the adaptation of the Label 619 graphic novel: Mutafukaz. With the voices of Orlesan and Gringe, thank you very much! "Krosmaga: Brand New, Looking Good, and Online!" I guess it's only available on French version of BoardGameArena right now. Please let us know when (or if) we can expect a US version.